One of the most difficult battles that parents would face is to lose their child to death. 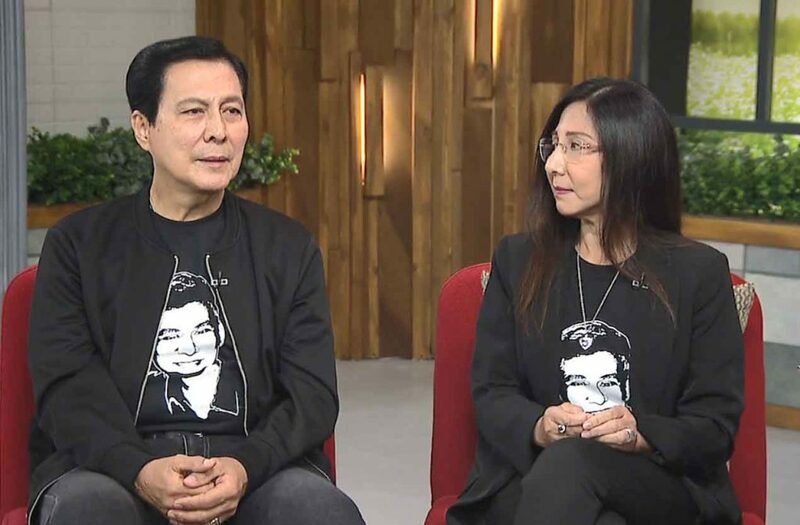 Actor Tirso Cruz III and wife Lyn went through this hurdle last November 21, 2018. After 6 months of fighting against cancer, their son TJ Cruz passed away due to lymphatic cancer at the age of 37. Here are what kept them steadfast and secured in this journey of faith, surrender, and loss, which they exclusively shared to The 700 Club Asia. Asking your loved ones, your church family, and your friends to pray with and stand with you for comfort and emotional healing would also help you as you go move towards your emotional healing. Lyn posted Bible verse cutouts on TJ’s hospital room to remind them of God’s promises as their family fights with TJ against cancer. God’s Word is your weapon against doubts and unbelief, especially when facing a life and death situation. You can stand firm on the eternal and powerful Word of God. This moment may be difficult but gratefulness for the time spent with your son or daughter, praising God for it, will help you focus on who God is – the One who gave you the blessing of sharing those precious moments with your child. He is surely with you as you go through this season of grief. If you are currently grieving for losing your loved one and you need somebody to talk to, we would love to pray for you and encourage you. Call us at 737-0-700 if you’re in Metro Manila. If you’re outside Metro Manila or the Philippines, contact us through CBN Asia Prayer Center. Please, include in your prayer my eldest sis. Dalores lacanlale now in ICU for cardiac arrest…healing, provision strength family…God Blessed.. Thanks for connecting with us, Daisy. We are joining you in prayer. The Lord is our healer, and it is His will for your eldest sister to have a complete healing. His Word is alive, sharp and powerful. We declare good health and healing upon Dolores from head to tiptoe. In Jesus name. Amen! My son died april 9, 2017. I know he is in heaven now. Our deepest sympathy goes out to you and your family as you struggle through the grief and sadness. Please know that you are in our thoughts and prayers, Boots.If you would like personal prayer, you’re welcome to give us a call Monday through Sunday 24 hours a day at 737-0700. God bless you.